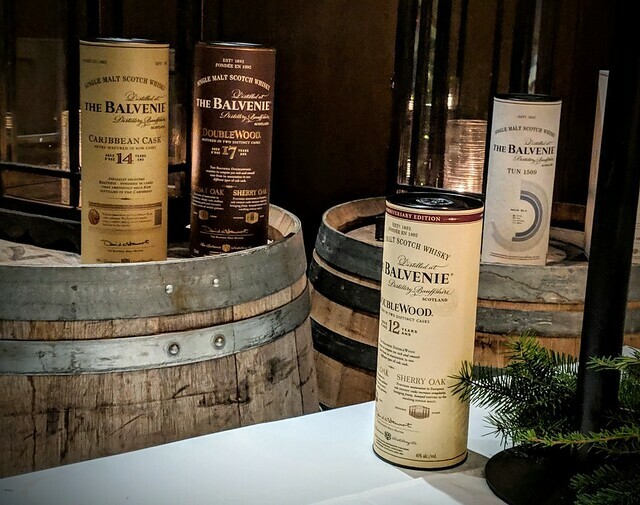 Last month, we were invited to the celebratory dinner of the arrival of one of the world’s rare whiskies, The Balvenie Fifty: Marriage 0962, hosted by The Balvenie and JAK’S Beer Wine Spirits. Curious about this luxury spirit, I was excited to attend the dinner together with my significant other, Douglas. The Balvenie is known for hand-crafted whisky using barley grown in the company’s own fields, leveraging the skill and experience of onsite coppersmiths and coopers. Each expression is unique, however every one of their whiskys is rich, luxuriously smooth and underpinned by a distinctive honeyed character. Before dinner, we sipped on Negroni cocktails with a twist, featuring 12 Year Old DoubleWood. 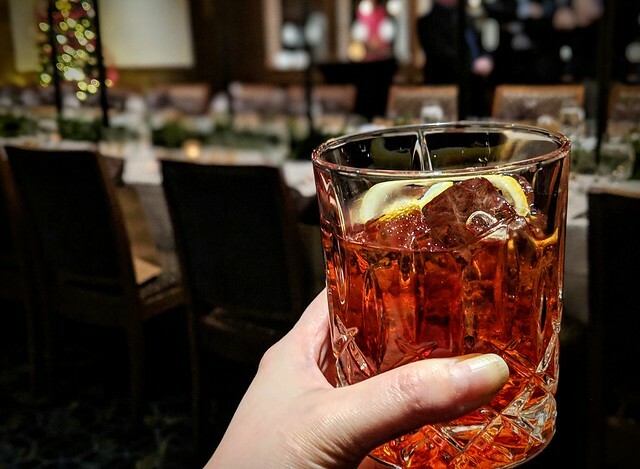 Traditionally, this iconic Italian cocktail combines equal amounts of gin, Campari and sweet vermouth, garnished with an orange peel. The 12 Year Old DoubleWood provides a smooth balance coupled with an easy-drinking malt. Jamie Johnson, Canadian Brand Ambassador for The Balvenie, shared her whisky journey with us, beginning with her Kentucky trip to various distilleries to learn about bourbon and whisky. 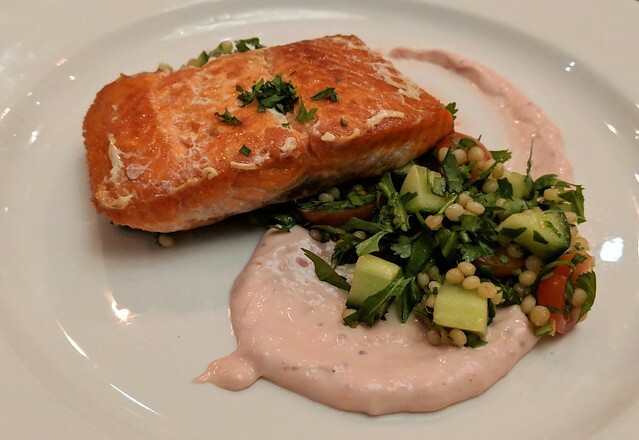 From there, she hosted gatherings at her small condo in Downtown Toronto to sample and learn about whiskys, soon outgrowing the intimate space. Like Jamie, I’m drawn to bourbon-based cocktails as I find them to be more on the milder, softer side. 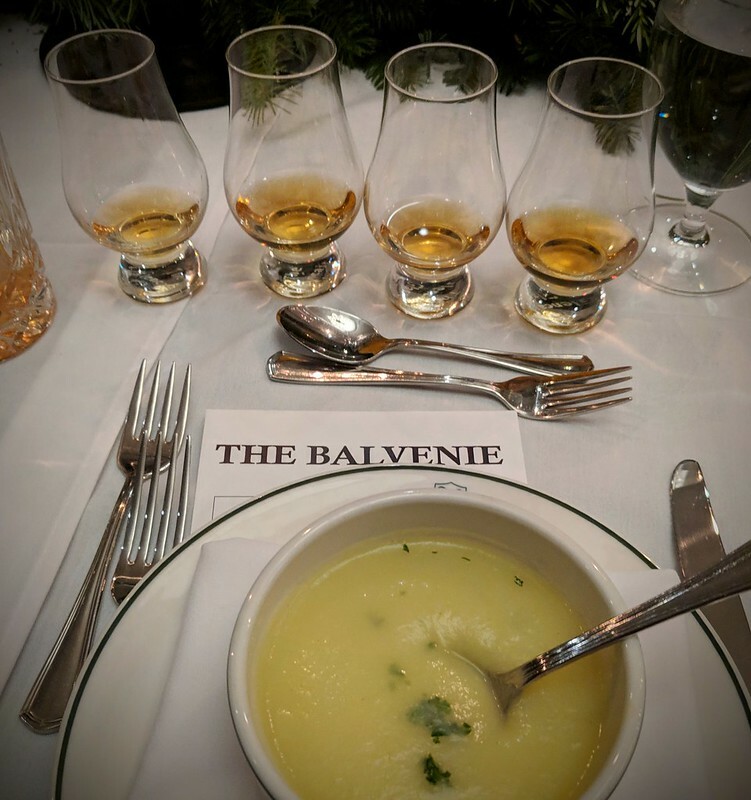 Along with our first course of potato and leek soup, we began our tasting with The Balvenie Caribbean Cask 14 Year Old. Both Douglas and I found this sipper a great introduction to whiskey: nice and smooth with a sweet aftertaste. With our second course of raw beef tartar, cornichon, anchovy, cognac, parsley, chilies and crostini, we tasted The Balvenie DoubleWood 17 Year Old. As this whisky spends six months maturing in sherry oak, we compared it to “Christmas in a glass”, offering a nice kick of both oaked spice and vanilla. If you’re an oaked wine fan, this is definitely worth a try. 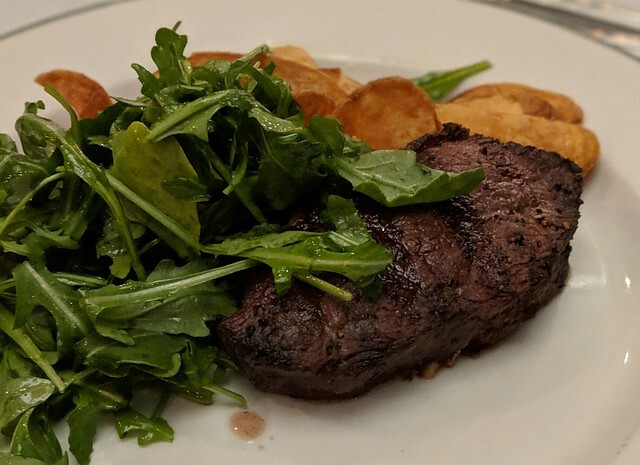 With two choices as the main entrée, Douglas opted for red meat and I selected wild BC salmon to pair with The Balvenie PortWood 21 Year Old. This whisky spends four months inside 30-year-old port pipes (casks used for port wine) used to finish Scotch whisky. This special finishing and aging technique gives the whisky nice port-like qualities of a velvety texture and sweet aroma, “balanced” at 40% ABV. 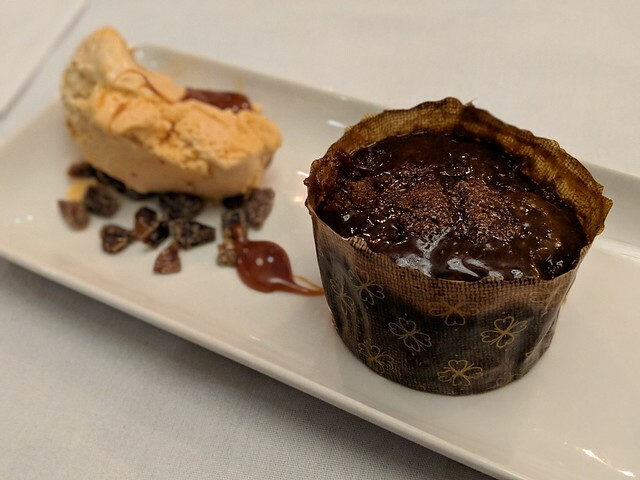 We topped off the evening with sticky toffee pudding paired with The Balvenie Tun 1509 batch 4. This malt reminds me of ice wine. Heavy and full-bodied, it contains notes of maple syrup, pound cake and pecan pie. After dinner, Douglas and I wandered over to JAK’s nearby location on Granville Street. 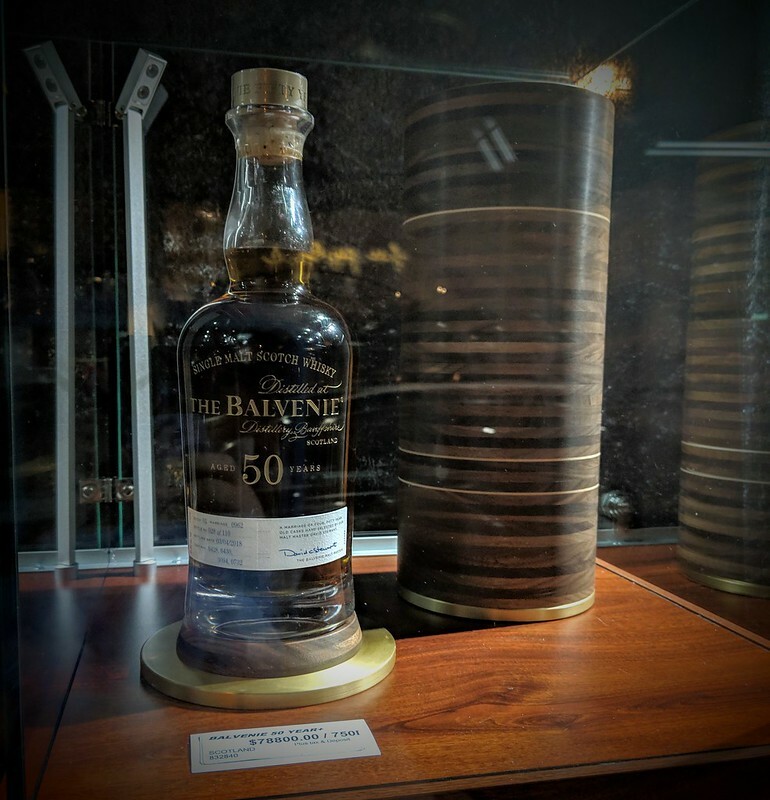 We were awed by that single bottle of The Balvenie Fifty: Marriage 0962 in the window, as it’s one of 110 bottles available in the world — and the only one in Canada. As whisky is much higher in alcohol content than wine, instead of sticking your nose straight into the special glass, make sure you swirl the whisky around a bit then whiff at the scent at the top of the glass. For now, we’re deciding on which cocktails to create with our our lovely gift of The Balvenie 12 Year Old Caribbean barrel whisky to savour by the fireside. 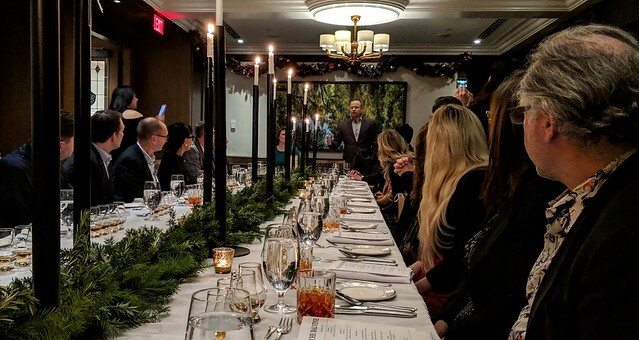 Thanks to JAK’s and The Balvenie for hosting a fun and festive whisky-infused event!